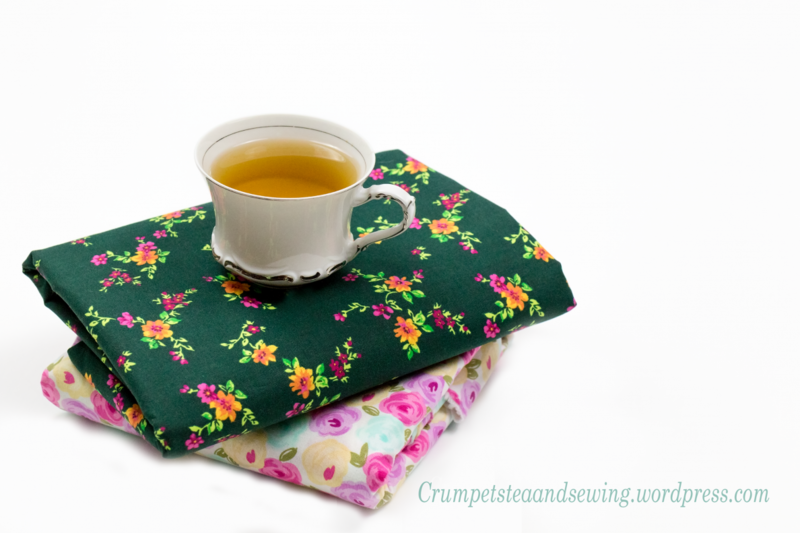 Welcome everyone to another Crumpets, Tea, and Sewing blog post! In today’s post I will share my experience with drafting paper and the four affordable drafting papers I’m currently using for my sewing projects! When I first started tracing and drafting my pattern pieces, I was under the impression that I could only use professional grade tracing paper similar to art supply paper. Thus, I was always buying transparent art paper from Hobby Lobby. Because art supply tracing and drafting paper is expensive, I opted to buy the art supply tracing paper at my local Hobby Lobby store because I was able to get a discount on it. I was ecstatic when I learned I could use Hobby Lobby’s famous 40% off coupon to get a discount on the Master’s Touch Tracing Paper Pad any time I wanted. I was even more happy whenever the art paper would go on sale at Hobby Lobby for 50% off. Because I knew that I would always be able to get this paper anywhere from $5.49 – $6.60. I thought that this was as good of a deal I could get. Although this paper served many purposes for me throughout my sewing journey, it definitely has some drawbacks and is not the most ideal paper to use for drafting and tracing pattern pieces, and I’ll tell you more about those drawbacks later. But for now, let’s look at some of the benefits of using this paper. This tracing paper is very transparent which allows you to trace and draft your pattern pieces more accurately. In addition, it’s acid free and you can use just about any type of drawing tool sold today on it. Whether you use a pencil, pen, marker, or ink, this paper will not disappoint you. Because this paper is acid free, the marks you make on the paper will hold up over time. Finally, this paper, if you purchase the largest tracing pad that is 14″ x 17″, is wide and long enough to make a simple bodice sloper without you needing to piece together additional pieces of paper. Although, it is most ideal for drafting and tracing children’s patterns or small handbags or clutches. Although these are all wonderful benefits to using this paper, there are some serious drawbacks to consider before purchasing it. First, this paper is very light in weight. Although this is necessary to make the paper transparent, the paper won’t hold up over time. In addition, the paper may even tear during the drafting and tracing process, if you are not careful. Secondly, this paper is best used to trace pattern pieces only. If you want to draft pattern pieces and then afterward use those pieces to drape on your dress form, you may not want to use this paper. As I stated before, it is very light and tears easily. In addition, you will not be able to tape pieces together very easily. As a seamstress, I’m constantly cutting and taping my traced and drafted pattern pieces together. I have found that this tracing paper, and others similar to it, is hard to tape together. The third drawback to using this type of paper is… it is not long or wide enough for most sewing projects. Although you can make a decent child’s pattern or a basic sloper for a thin person, you won’t be able to make an apparel sewing pattern for the average size person without having to piece together many parts of your pattern. And testing the pattern pieces by forming it on a dress form or person will put stress on the paper and cause it to tear. There are so many options out there. However, after doing much research and testing, I have found these options to be the most affordable and long lasting options for drafting and tracing patterns. Here is a list of my primary choices. Keep in mind that these items have their limitations as well, and you would need to use each one for specific purposes to avoid undesirable outcomes. My first choice is this Great Value Parchment Paper because it’s inexpensive and easy to work with. As I mentioned above, this paper has its drawbacks as well because it functions much like the art supply tracing paper at Hobby Lobby. However, I mentioned it here as an inexpensive option to the Master’s Touch Tracing Paper Pad. This parchment paper is much more affordable and durable. However, it is not as transparent as the Master’s Touch Tracing Paper. You can buy this at your local Walmart or online here! 2. 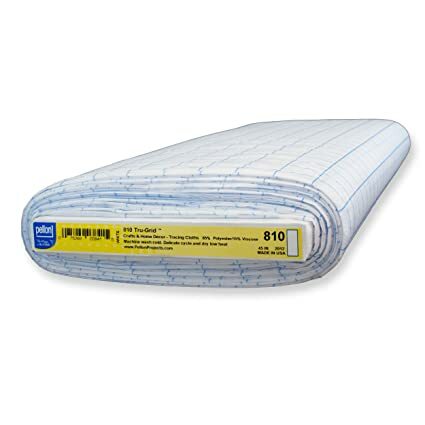 810 Tru-Grid by Pelon (sewable interfacing with grid lines at Joann’s Fabrics and Crafts): If you don’t have any parchment paper on hand or you are looking for a drafting paper that is has some structure and won’t tear as easily, this 810 Tru-Grid sewable interfacing would be a great option. I like using the sewable interfacing for a number of reasons. The grid lines are made more for quilter’s guidelines, but it can still be useful for making apparel patterns as well. Primarily, the grid lines on it makes it easier to draft your own patterns. Also, you can sew your bodice sloper, skirt, and pants patterns together using the interfacing as a mock-up to drape over the dress form or the person whom you are making the garment for. You can purchase this material at any Joann’s Fabrics and Craft store. I purchase it from the store; however, it is also available on the Joann’s Fabric and Craft website here. My third choice would be any brown paper bags from a local grocery store. Although you cannot trace pattern pieces with this kind of material, it is very useful for drafting and creating your own patterns. You can usually get paper bags free from the grocery store. This is ideal for practice drafting! Lastly, I use Swedish Sewable Tracing Paper to trace and draft pattern pieces. Like the sewable interfacing that Joann’s sell, this Swedish Sewable Tracing Paper is transparent and sewable. However, it has more drape than the sewable interfacing allowing you to get a better fit and accuracy of your garment. Although this option is more expensive than the other options, it is worth the investment if you are serious about designing and drafting your own patterns. This drafting paper comes on a roll that is 29″ x 10 yards, and is about $14 for the roll and $3.95 for shipping. You can purchase Swedish Sewable Tracing paper on eBay or Amazon. I buy mine from this eBay seller here. Do you use any of these items for tracing or drafting your patterns? Or do you use an item that’s not on this list that is an excellent inexpensive option. Please share your experience in the comments. I would love to hear them. Thanks for watching and supporting the blog! If you are interested in seeing more of my sewing tips please comment on this post and tell me what you would like me to write a post about. Also, I have a video on my YouTube channel titled Sewing Tips| Buying Tracing Paper on a Budget; you can watch that video here! And if you are feeling generous, please like the video, comment, and hit the little red SUBSCRIBE button!